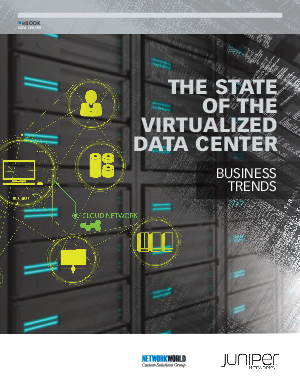 Organizations today increasingly look to the data center network for competitive differentiation. It’s no longer just about speeds and feeds and big pipes. Virtualization has changed that equation. Case in point: The results of the 2013 Computerworld State of the Enterprise survey1 suggest that IT departments are becoming adept at linking even routine investments—like networking—to business objectives. When asked how important infrastructure technologies were to creating a competitive advantage for their companies, a majority of respondents rated data center-related technologies, including IT and network services management (57 percent) and virtualization (56 percent), as either very important or critical.